Just as you seen on the newspaper, or on any other advertisement, either from Maxis or nuffnang, or on the internet that Maxis is launching the Maxis Blackberry Playbook in Malaysia! I was lucky enough to be invited by nuffnang for a workshop on Maxis Blackberry Playbook exclusive for nuffnang bloggers! So, as seen as the picture below, the "Fun Begins Here"! After the representative from Maxis Blackberry and nuffnang gave an opening speech, the workshops begins!!! So each table were given a Maxis Blackberry Playbook! check it out! look at the design and all, how sleek and cool it is right! I think it looks professionally cool! So, after exploring a bit by ourselves .. we were then taught by THE professional of Maxis Blackberry Playbook on understanding of the Maxis Blackberry Playbook better and of course how to use it up to its actual true potential of the Maxis Blackberry Playbook! Ok, so let me explain what is Blackberry Bridge. Blackberry Bridge is simply a software/apps design to sync whatever it is in YOUR Blackberry into the Maxis Blackberry Playbook. Meaning, once you switch on the Blackberry Bridge Apps on your Blackberry device, it would automatically sync all the information into your Maxis Blackberry Playbook! Just like the picture above! 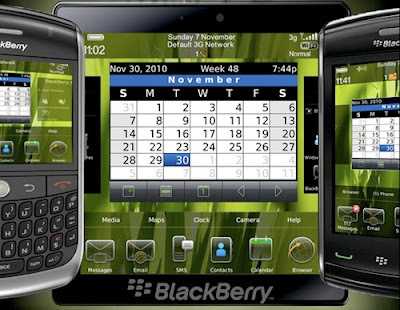 Whatever is in your Blackberry, it will be in your Maxis Blackberry Playbook! and the best part is, you could go online using your Maxis Blackberry's Data Plan via your phone to your Maxis Blackberry Playbook. It simply means that, once you switch on your Blackberry Bridge Apps, you can go online surfing Facebook or Twitter anywhere you want with your Maxis Blackberry Playbook! Now you do not have to own 2 different plans just to use your Maxis Blackberry Playbook! So what if I lost my Maxis Blackberry Playbook, then all my private information in my Maxis Blackberry Playbook would be accessible by the "new owner"? Isn't that really dangerous? The Blackberry Bridge Apps works uniquely. What do I mean by "uniquely"? Meaning, once the Blackberry Bridge Apps is turned off/disconnected, whatever information which was synced from your Blackberry device would all not be accessible anymore. 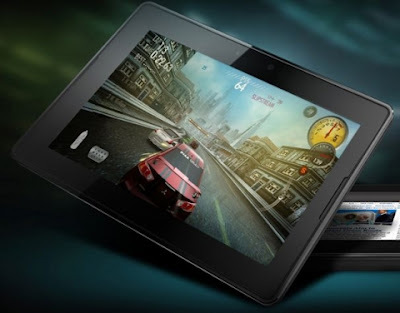 Hence, without your Blackberry device being connected to your Maxis Blackberry Playbook via the Blackberry Bridge Apps, it would just be a simple tablet without any of your personal information and details in it. So after all the serious information about Maxis Blackberry Playbook, it's time to have some fun! We were introduced to the game called "Need for Speed" on the Maxis Blackberry Playbook. and of course to kick-start this awesome gaming experience, nuffnang and Maxis Blackberry made a competition out of it! see! everyone getting all intense on it! and for people who are NOT THAT GOOD in games, Tetris is the game to conquer! so here's the nuffnang bloggers with their Blackberry's goodies bag in the Maxis Blackberry Playbook Workshop! check out the picture on the right, you could actually plug your Maxis Blackberry Playbook to any of your television and make it multi-view to all your family or friends! How cool aight! and I still can't get enough of the Maxis Blackberry Playbook! of course I need to a picture with the Maxis Blackberry Playbook right?! haha, what to do, Maxis Blackberry Playbook is awesome device/tablet alright?! 0% Easy Payment plan available. Or pair up with one of these BlackBerry® smartphones (Bold 9780 or Torch 9800) to enjoy RM100 off the prices above. If you're not an existing Maxis BlackBerry Internet Service user, buy a BlackBerry® smartphone and top up your BlackBerry Internet Service with a BlackBerry PlayBook data plan. Pick one of the BlackBerry smartphones (Bold 9780 or Torch 9800) with BlackBerry Internet Service + Value Plus plan sign up. I would really want to get my hand on the Maxis Blackberry Playbook because of the awesome interface, design (sleek and cool), the Full HD screen, the awesome quality speaker (you can fill up the room with sounds coming out from the Maxis Blackberry Playbook without even putting on external speaker, how awesome is that?! ), further with the super long battery life, the super clear camera front and back, all in one tablet?! Can you imagining owning that?! I can because I have attended this Maxis Blackberry Playbook's workshop! and the best part out of this Maxis Blackberry Playbook is the Blackberry Bridge Apps, where I can access all my information in my Blackberry device on the Maxis Blackberry Playbook. I do not have to worry about my information being access by other people as well, thanks to the awesome feature of the Blackberry Bridge Apps! With all of this awesome features, why wouldn't I want to own an Maxis Blackberry Playbook right?! Anyways, just check out this video and get some feel out of it! Enjoy! wow this is totally amazing .. i will choose playbook rather than ipad ...^^ and the games graphics are totally awesome too ..
Good Luck winning it! So tempting to go play with it LOL! i hope u won the prize bro....amazed with ur entry..
Whoa! Cool! I am so gonna get 1 tmr!